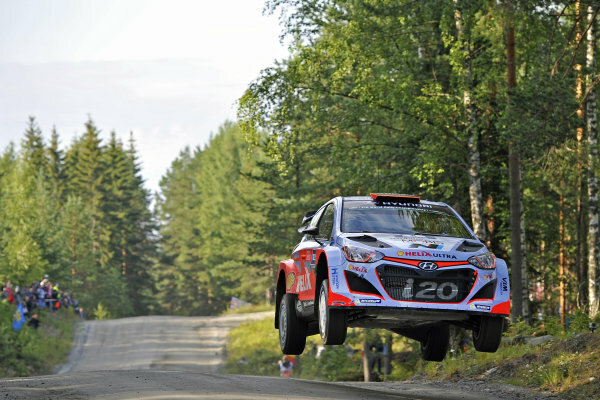 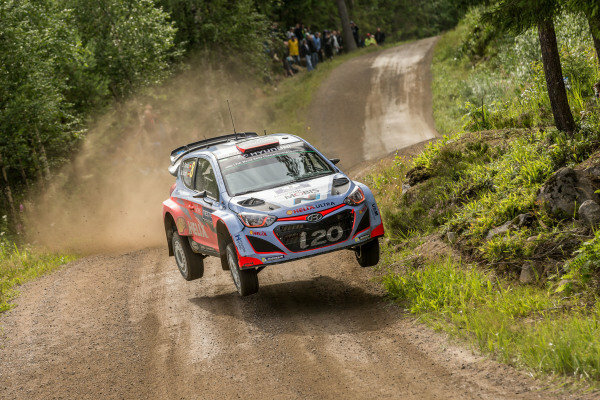 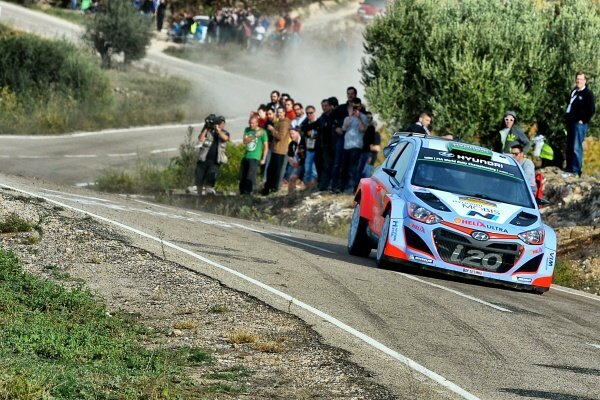 Hayden Paddon (NZL) / John Kennard (NZL) Hyundai i20 WRC at FIA World Rally Championship, Rd12, RAAC Rally de Espana, Day Three, Costa Daurada, Catalunya, Spain, 25 October 2015. 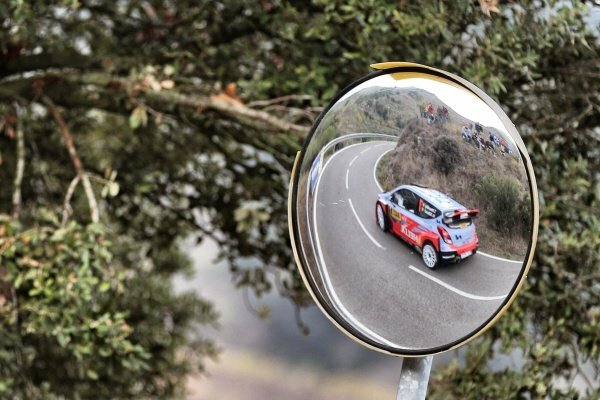 Thierry Neuville (BEL) / Nicolas Gilsoul (BEL) Hyundai i20 WRC reflected in a mirror at FIA World Rally Championship, Rd12, RAAC Rally de Espana, Day Two, Costa Daurada, Catalunya, Spain, 24 October 2015. 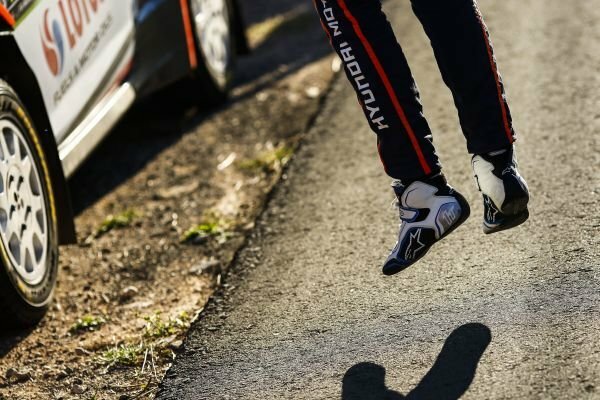 Thierry Neuville (BEL) Hyundai i20 WRC at FIA World Rally Championship, Rd12, RAAC Rally de Espana, Day One, Costa Daurada, Catalunya, Spain, 23 October 2015. 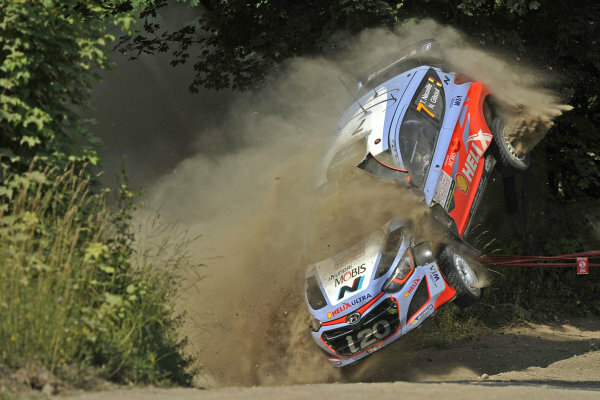 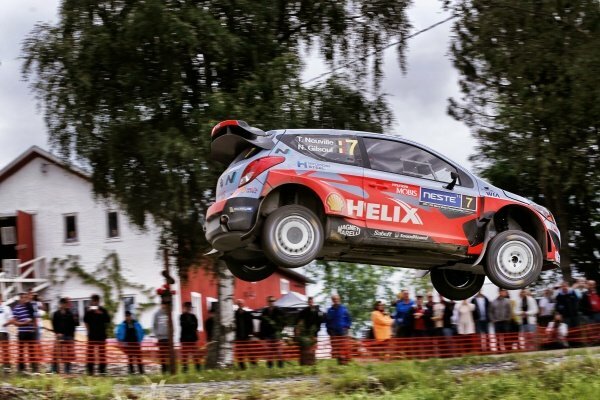 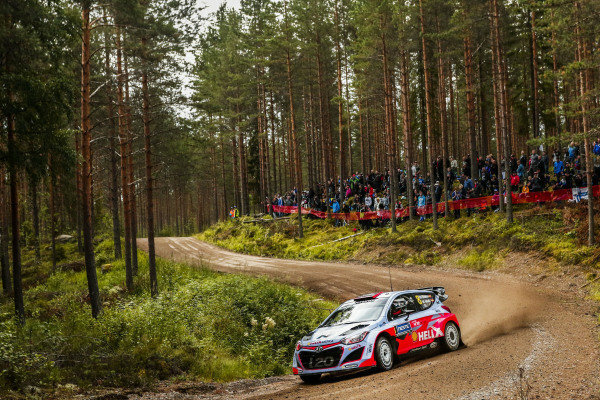 Dani Sordo (ESP) / Marc Marti (ESP) Hyundai i20 WRC at FIA World Rally Championship, Rd12, RAAC Rally de Espana, Day One, Costa Daurada, Catalunya, Spain, 23 October 2015. 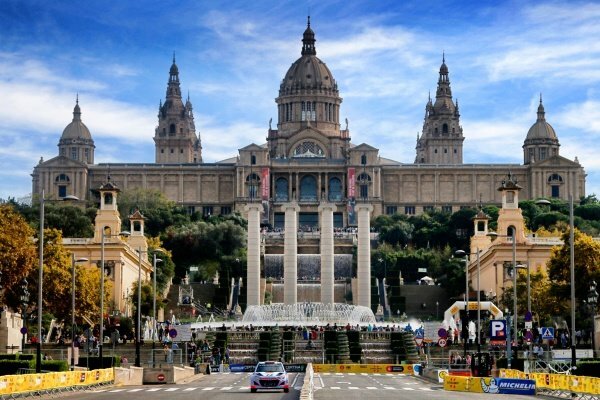 Thierry Neuville (BEL) / Nicolas Gilsoul (BEL) Hyundai i20 WRC at FIA World Rally Championship, Rd12, RAAC Rally de Espana, Preparations and Shakedown, Costa Daurada, Catalunya, Spain, 22 October 2015. 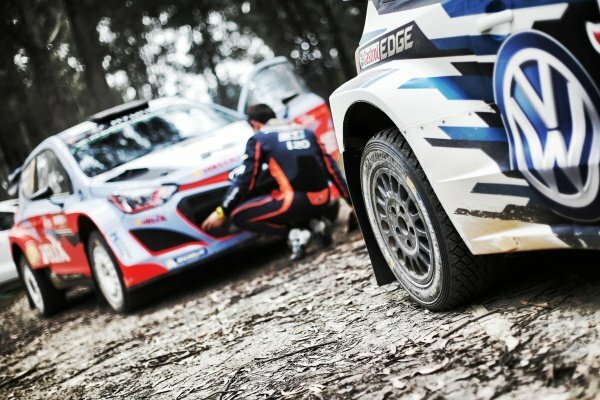 Marc Marti (ESP) Hyundai i20 WRC checks tyre pressures at FIA World Rally Championship, Rd12, RAAC Rally de Espana, Preparations and Shakedown, Costa Daurada, Catalunya, Spain, 22 October 2015. 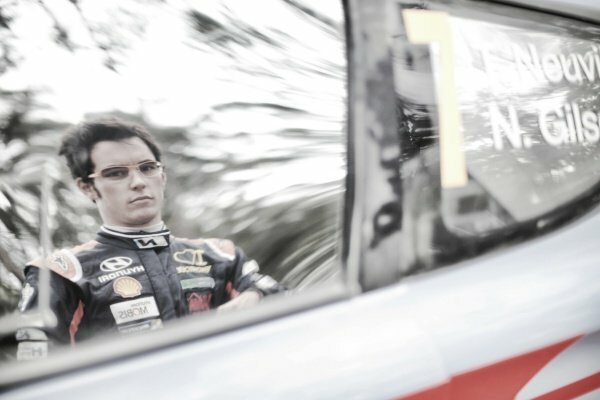 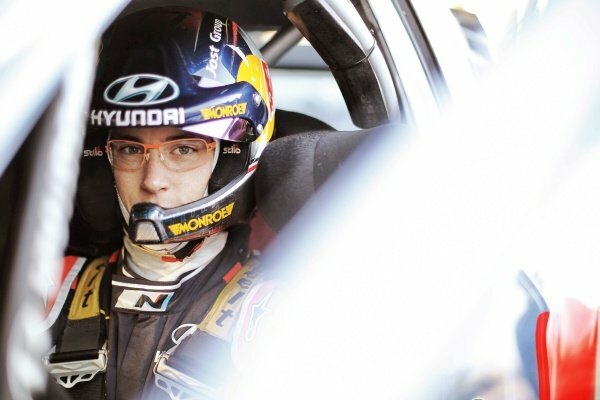 Thierry Neuville (BEL) Hyundai i20 WRC at FIA World Rally Championship, Rd12, RAAC Rally de Espana, Preparations and Shakedown, Costa Daurada, Catalunya, Spain, 22 October 2015. 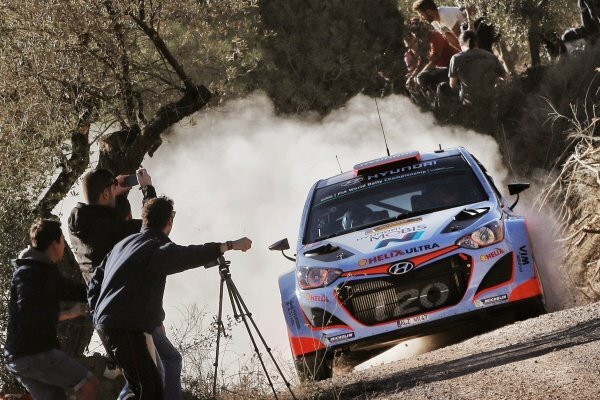 Dani Sordo (ESP) / Marc Marti (ESP) Hyundai i20 WRC at FIA World Rally Championship, Rd12, RAAC Rally de Espana, Preparations and Shakedown, Costa Daurada, Catalunya, Spain, 22 October 2015. 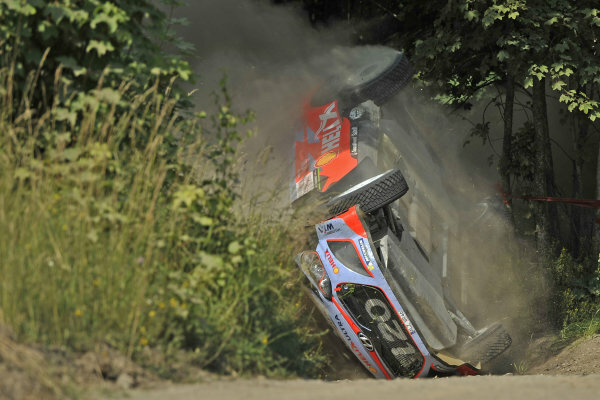 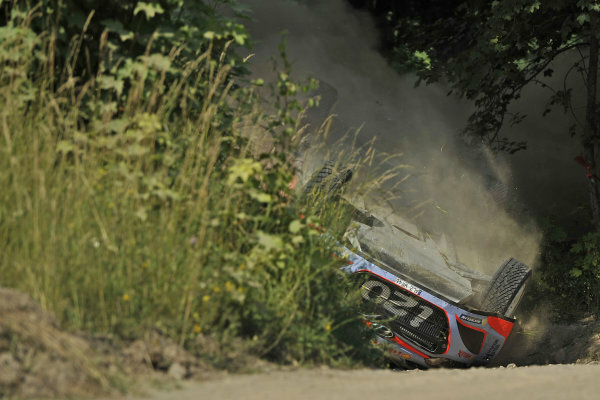 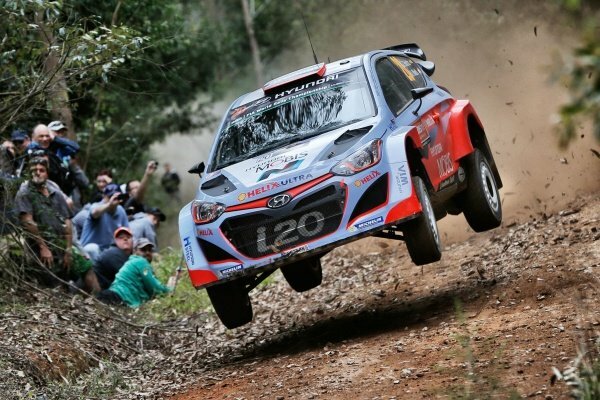 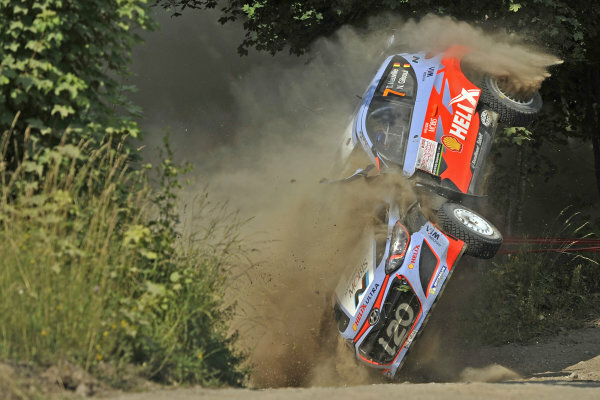 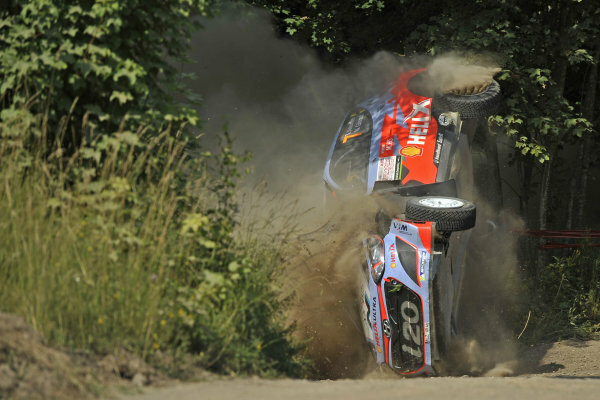 Thierry Neuville (BEL) / Nicolas Gilsoul (BEL) Hyundai i20 WRC at FIA World Rally Championship, R10, Coates Hire Rally Australia, Day Three, Coffs Harbour, New South Wales, Australia, 13 September 2015. 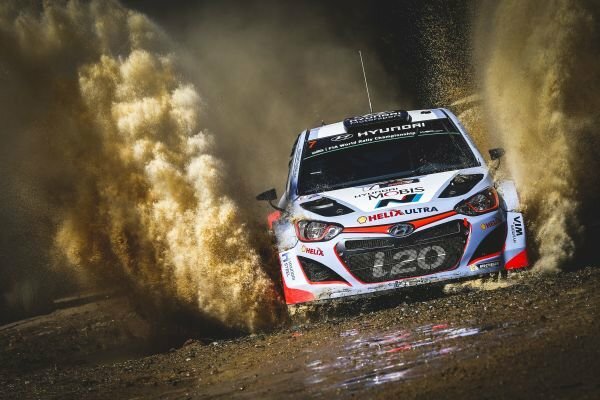 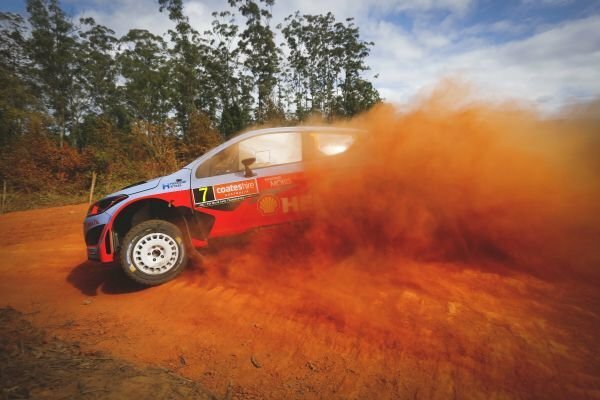 Thierry Neuville (BEL) / Nicolas Gilsoul (BEL) Hyundai i20 WRC at FIA World Rally Championship, R10, Coates Hire Rally Australia, Day Two, Coffs Harbour, New South Wales, Australia, 12 September 2015. 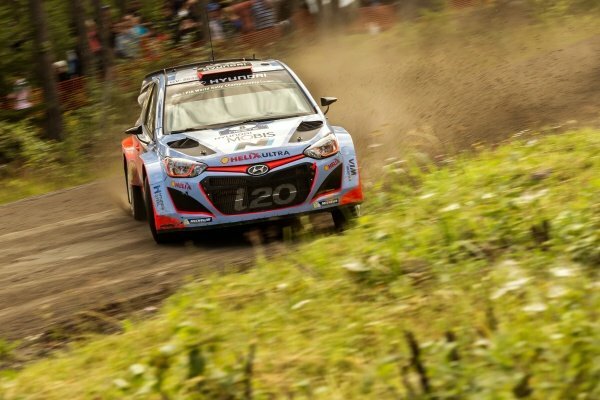 Thierry Neuville (BEL) / Nicolas Gilsoul (BEL) Hyundai i20 WRC at FIA World Rally Championship, R10, Coates Hire Rally Australia, Day One, Coffs Harbour, New South Wales, Australia, 11 September 2015. 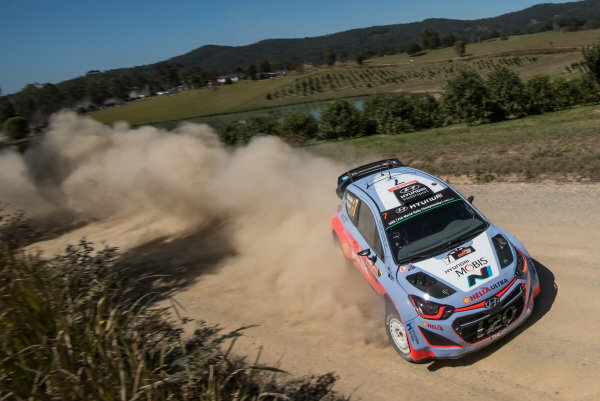 Dani Sordo (ESP) / Marc Marti (ESP) Hyundai i20 WRC at FIA World Rally Championship, R10, Coates Hire Rally Australia, Preparations & Shakedown, Coffs Harbour, New South Wales, Australia, 10 September 2015. 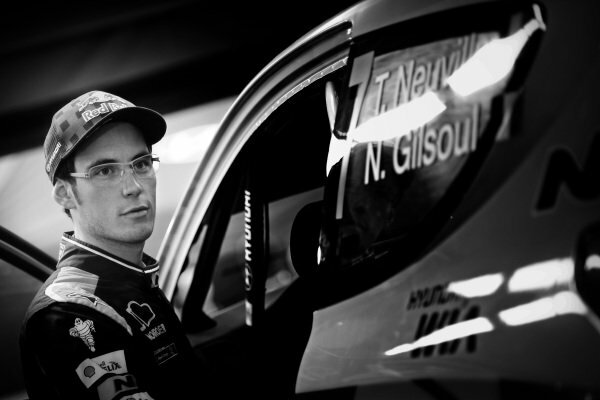 Thierry Neuville (BEL) / Nicolas Gilsoul (BEL) Hyundai i20 WRC at FIA World Rally Championship, R10, Coates Hire Rally Australia, Preparations & Shakedown, Coffs Harbour, New South Wales, Australia, 10 September 2015.